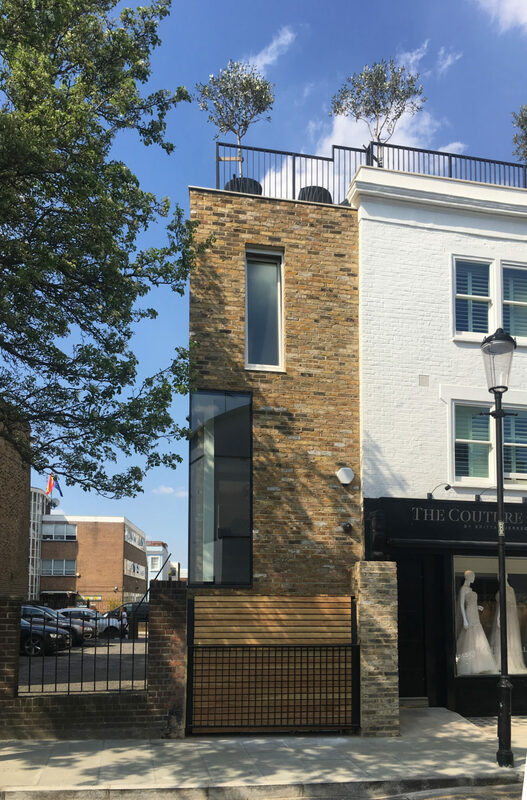 The Couture House looks to modify an existing end of terrace in Kensington by converting a garage into a simple & modern side extension over 3 floors, extending the rear by one floor and providing a new sunroom to the top floor terrace. 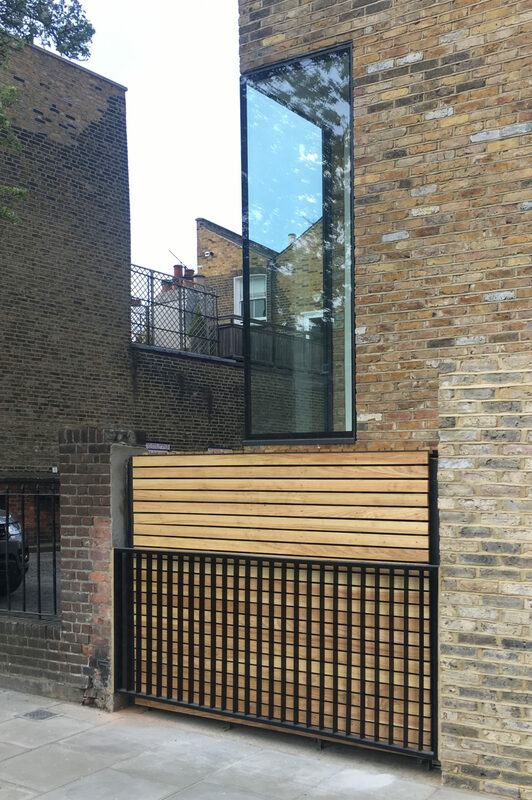 A frameless glass corner window reflects the double height interior space of the entrance and a recessed vertical column of glazing addresses the change of material on the side elevation. 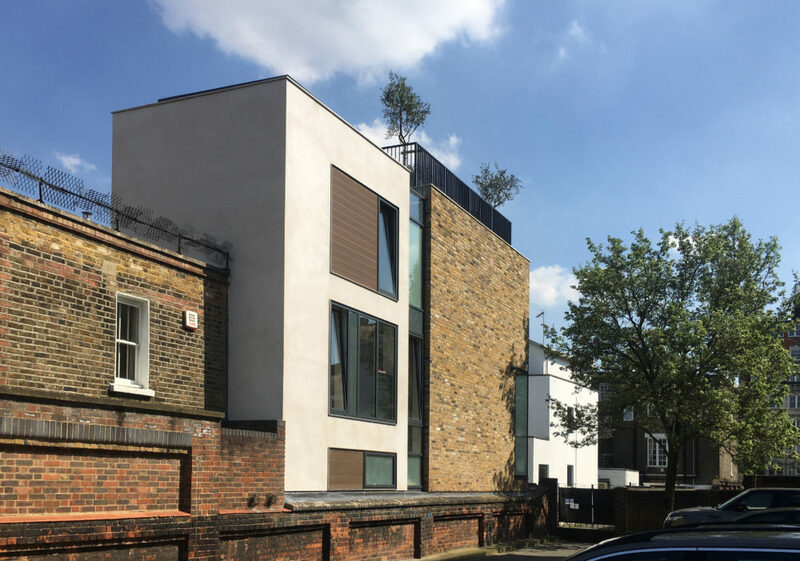 This continues the contemporary design rational this extension embraces within the Conservation Area. 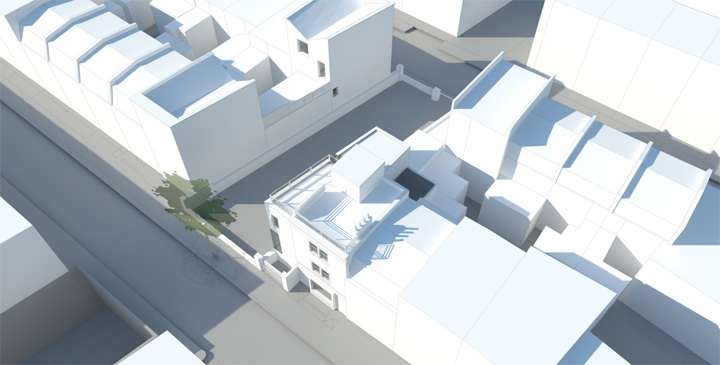 The combination of these extensions will increase the existing accommodation to 4 double bedrooms and will provide a top roof terrace fit for a family sized property in central London. 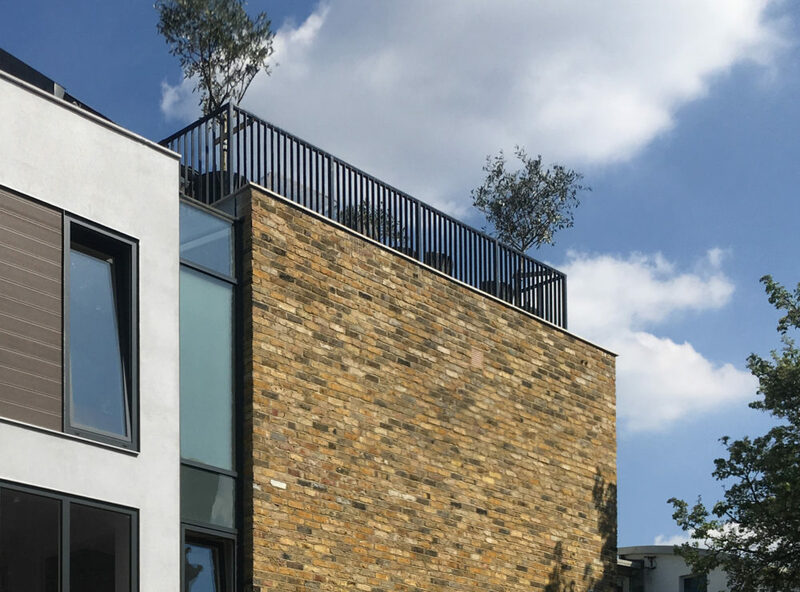 The project is currently on site and due for completion in October 2017.